There is so much noise out there it can be overwhelming. The way I know I am in need of a time out–either a meditation or a walk in the woods–is when I am critical of others. When I start to judge others or compare myself to them, I know it is time to listen to my own heart. Listen to my higher-self and let go of my attachment to what other think. It is time to stop living my life to fit into the crowd. I learned long ago that my way is not the conventional way that our society rewards, however knowing that doesn’t make it easy to practice. It requires time for me to get in touch with me again and let go of my misguided compulsion to place my worth in the hands of others. My opinion of me and my life is the only one that counts, without it nothing in my life will ever work. So I listen not to the masses. 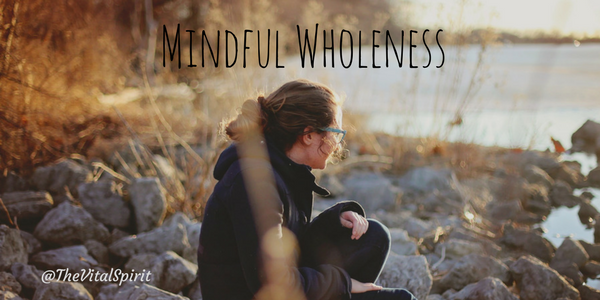 Instead, I find a quiet corner to reconnect with my heart–Mindful Wholeness is heart-centered living.